Apples and pears are two of the very best things about fall baking. When they come into season, I try to bake with them as much as possible. 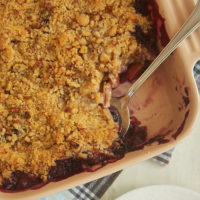 They’re great for making so many things, but I have a soft spot for spoon desserts like cobblers, crisps, and crumbles. There’s just something so comforting about diving into a bowl of one of those warm, sweet desserts. It makes you want to wrap up in your favorite blanket, grab a spoon, and enjoy! This cobbler is a celebration of fall flavor with plenty of apples and pears flavored with cinnamon and nutmeg. It’s warm and gooey and so amazingly good. Top it off with ice cream or sweetened whipped cream, and you’ll be in dessert heaven! 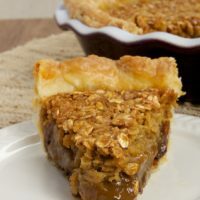 The filling of this cobbler is a bit of a variation on another favorite cobbler here on BoB, Brown Sugar Apple Cobbler. 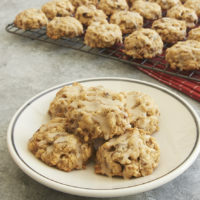 Both of them start out by cooking the fruit along with butter, sugar, and spices on the stovetop to create a caramel-like flavor and gooey texture. It adds a few more minutes to the prep time, but that sweet, caramel-like flavor is worth every second. The biscuit topping is a bit off the beaten cobbler path. 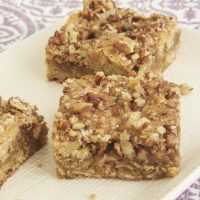 The addition of graham cracker crumbs to those biscuits gives them a little extra sweetness and an amazing flavor that complements the filling oh so well. It’s a nice change from standard biscuit-topped cobblers. If you’re looking to celebrate fall in a big way with lots of flavor in a warm dessert, this is it. 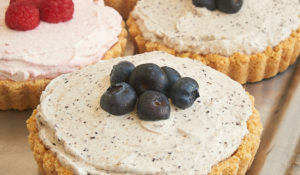 Go grab some fall fruits and graham crackers, and get baking! 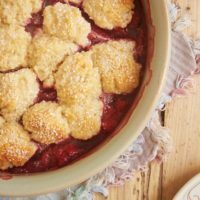 Find more cobbler recipes in the Recipe Index. 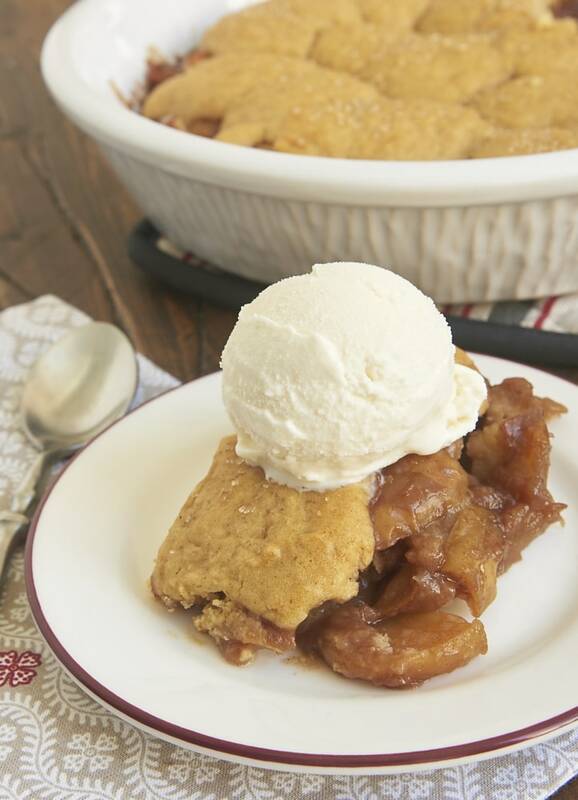 A caramel-like filling and sweet graham cracker biscuits make this Graham Cracker Apple Pear Cobbler a fall favorite! 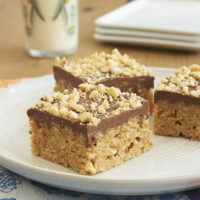 In a small bowl, combine the graham cracker crumbs, egg, and milk. Set aside. Place the flour, sugar, baking powder, and salt in the bowl of a food processor. Pulse to combine. Add the butter, and pulse until the butter is about the size of peas. 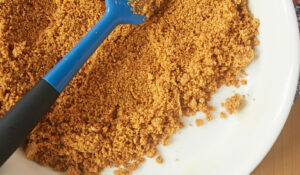 Add the graham cracker mixture, and pulse just a few times until the mixture is combined. Place the butter in a large skillet, and melt over medium heat. Add the apples, pears, sugar, brown sugar, flour, cinnamon, nutmeg, and salt. Stir to combine. Bring to a boil over medium-high heat, stirring occasionally. Reduce heat to medium, and continue cooking and stirring until thickened (about 5 minutes). Transfer the mixture to a 2-quart baking dish. 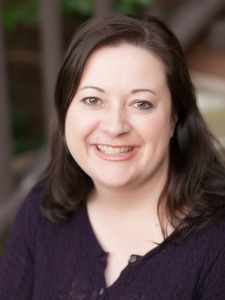 * Place the pan on a rimmed baking sheet lined with parchment paper to catch any spills. Drop the topping mixture over the filling. If you like, sprinkle sanding sugar or turbinado sugar on the topping. Bake 25 to 30 minutes, or until the topping is golden brown and the filling is bubbly. Cool about 20 minutes before serving. 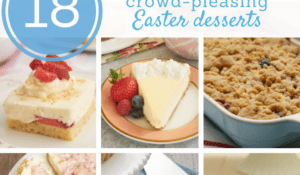 *I used a 10-inch round pie plate, but a 9-inch round or 8-inch square baking pan would be a better fit. 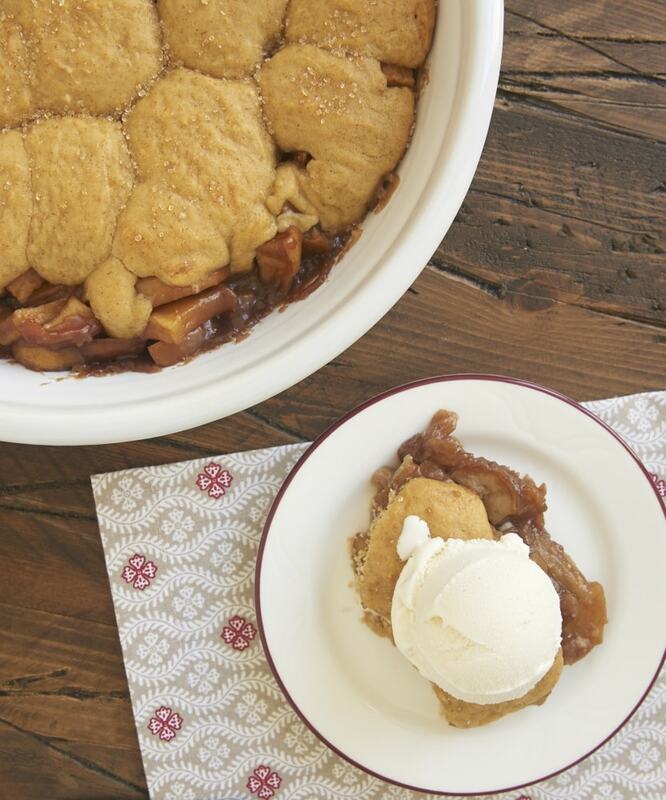 Filling recipe adapted from Brown Sugar Apple Cobbler. Topping recipe slightly adapted from BHG. Mmm, this is the perfect fall dessert! LOVE the graham crackers in the biscuits! 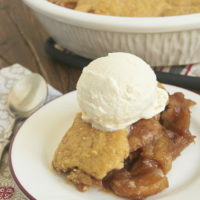 I love the sound of this dessert and you can’t beat a cobbler with the melty ice cream on top! I’m so glad it was a hit, Susan!